Amid the recent discussions about the upcoming election on the school parcel tax measures, there has been no suggestion that our schools are anything less than superb. By almost any metric you could choose we are one of the two or three best public school districts in California, and there is no argument to the contrary. What opponents of Measures B and E are suggesting is that these two measures are too large; that our excellent schools could and would still be excellent with less funding; and that, indeed, the administration has been wasteful with our tax dollars. One opposition letter to a local paper was even titled “School Budget Out of Control”. Well, when discussing the Piedmont Unified School District, nothing could be further from the truth. The PUSD not only produces one of California’s most successful academic programs, it does so with tremendous fiscal discipline. So thank you, Piedmont, for parcel tax funding to offset declining state support of our core academic programming. And thank goodness for outstanding fiscal management by the district. That fiscal management is also reflected in how little the PUSD spends on administration versus comparable high-performing districts. In 2006/07, we spent only $572 per student on administrative costs; Palo Alto and San Marino spent $721 and $709, respectively; Beverly Hills spent more than $900. Clearly, money spent in Piedmont schools is money spent on students. Which is why test scores are so high, why PHS graduates go to top universities, and why home values remain so strong. This is an excellent school district, and excellence does not come cheap. But as we have proven in Piedmont, it needn’t be exorbitantly expensive either. Cost-cutting remains a priority in the PUSD, and the baseline parcel tax Measure B on the June 2 ballot, does not increase the level of tax at all. For fiscal 2009-2010 an average parcel in Piedmont would pay about $2,100. If Measure B passes, in fiscal 2010-2011 an average parcel in Piedmont would pay about $2,100. That’s the very definition of fiscal discipline: costs are going up and revenue is shrinking, but our taxes stay flat and our educational quality remains very high. Yes, the parcel tax can increase up to 5% annually starting in year two if the School Board votes to do so. Such flexibility is the norm for such tax measures and makes complete sense given the steady erosion in state funding to the PUSD. The second ballot item, Measure E, is a limited emergency measure that would indeed raise taxes slightly, only partially offsetting the state takeaway of $1.5 million from next year’s budget. Even if this measure passes the school district will face a minimum of $500,000 in cuts, which means teacher jobs. There have been steady cutbacks in administrative positions in the district office and maintenance staffs over the past several years. As cited above, our district already runs on a very small administrative budget now; there is no room for any more cuts except in the classroom. And it is important to remember that Measure E is only a three year tax and that it has no option for a 5% annual increase. It is truly an emergency measure that will expire before the core parcel tax comes up for renewal. Finally voters should also note that the parcel tax measures this time include ballot language that directs the school board to create a formal advisory committee to monitor how parcel tax money is spent and to make recommendations as to the size and scope of any year-to-year increases in the core tax rate (for more information on this and other particulars of the two measures please visit our website www.yesonbande.org). Any talk about budget disarray, then, is ultimately a red herring. The numbers being cited to prove fiscal mismanagement are deeply flawed and misleading. Again, there’s simply no space for more cuts away from the classroom. 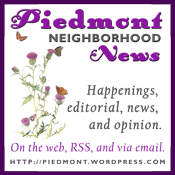 The real question now is simple: will we continue to have superior schools in Piedmont? A vote for B and E is a vote to maintain the current level of excellence. A vote against is a vote to dramatically diminish public education in our city. Please join me in supporting both academic excellence and fiscal discipline by voting Yes on Measures B and E.
Where to put the kids? What is fair? The issue of Measure E interim student housing has become a bit of a hot topic around town. Various ideas for the location of temporary portables are being floated, including Witter Baseball field, Hampton Field, Coaches Field/Blair Park, Havens plus tennis courts (possibly throw in 801 Magnolia), and Beach Field. Each of these locations has a positive and negative side. Measure E was positioned to retrofit our schools, not to build new ones. The Becker plan found a way to rebuild Havens using those funds and I think that’s a good thing. It is visionary to take what could have been functional, but uninspiring and figure out how to do something great for the community. However, the direct benefit, and therefore the bulk of the hardship, should be borne fairly and equitably. So where should the portables be? What is fair and equitable? Let’s look at Witter Baseball field. Anyone who reads this blog knows that I’m very pro-baseball and as a PBF board member, I know that losing Witter Baseball for 3-4 years will have a huge impact on the older players, but also ripple through community baseball and soccer programs of other age groups. However, when I take off my baseball hat and consider the issue as a Piedmont resident with school aged children, it seems to be not such a bad idea. It’s central, has plenty of room for portables, and keeps students (except Beach) generally close to their original schools. Witter baseball field adjoins Wildwood, PHS, and PMS and is about 4 blocks from Havens. (see this map to get an idea of the relative location of Havens, Wildwood, PMS, and PHS to the Baseball Field.) The main baseball diamond could be retained for practices as well as student use during the day. And while direct drop off via automobile is problematic, the central location means that walking to school is viable from most of Piedmont. Overall, this plan is better than many of the others. It keeps each school together in a centralized, walkable location. Another option is Beach field, however this seems to be extremely weak proposal and not well thought out. This location is not easily walkable from most of Piedmont, so cars will be blocking Linda every morning and afternoon. Already there are traffic safety issues on Linda during school hours or soccer or baseball games. How would this be improved by adding to, possibly more than doubling, the student and teacher population there? Drop off and pick up would be a traffic nightmare. It also seems extremely unfair for Beach, which has the smallest amount of repair work needed, funds allocated, and improvements planned, to have to take the brunt of the interim housing effort for 3-4 years. Hampton field is a decent choice, at least at first glance. It has four streets that come into a drop off point, has a large, contiguous field that could house portables, and also would allow for a small playground and basketball courts on site. Again, there are negatives. These include that the four approaches all meet at the same corner, so drop off would need some traffic coordination. Also, Hampton is very highly used by youth baseball, softball, soccer, as well as community tennis and basketball. If you think losing Witter baseball has a big impact on youth sports, imaging losing Hampton. The impact is much greater and directly affects a large pool of children aged 6-12. Whew, what’s left? It seems there are still three or four options that won’t totally crater youth sports or put the burden on a school community who isn’t the primary beneficiary of the bulk of the Measure E construction. First is Witter Baseball Field, mentioned above. Aside from youth sports impact, it seems to offer the best location if the goal is to provide some continuity and community for displaced students. The field impact primarily affects 3 baseball teams. Second is Crocker Park. Yes, it’s not been considered, but it appears to be about as big as the Beach location and its temporary use would displace no youth sports or overburden one of the smaller elementary schools. Third is Coaches Field/Blair Park. The big negative here is traffic. However, the housing density is low compared to the other proposed locations, and if school walkers cross at Highland Avenue at the light, there is a separated sidewalk directly from Highland to Coaches field. The space to be considered should be all parking lot areas, the baseball field’s deep right field, and the corporation yard. Those three spaces alone allow for a huge area for portables, the baseball diamond as a field for school use, plus baseball, softball, and soccer could still use the field evenings and weekends. Parking for staff would be across Moraga in Blair park. None of these proposals are perfect. Each has enough drawbacks and problems to take it out of the running. Yet, we need to figure a way to get this work done quickly and safely, and most of all, fairly. I encourage you to participate in the discussion at two upcoming community meetings. Feel free to comment on this post. The purpose of this blog is discussion and debate for the Piedmont community and you are encouraged to participate in the conversation. If you’ve been meaning to sign up for the September 27th “Piedmont Goes Green” parent party but just haven’t gotten around to it (or if you’re a new parent and this is the first time you’re hearing about it), now’s the time to do it! We have a limited number of tickets still available, on a first-come, first-served basis ($65/person, $130/couple). Proceeds go to the the Piedmont tri-school fundraising effort. Join us in the beautiful garden of one of our Beach families for a fun-filled evening celebrating the national and Piedmont-wide movement for a greener, cleaner and more environmentally sustainable way of life. What’s the real story with “green” household cleaners? What steps can I take to reduce my household’s carbon footprint? Which plastics are safe for my family and which should we avoid? Where did all this great organic food come from, and how can I get more of it? Join us Sunday September 7th from 3:00-5:00 pm for a funny and thought provoking afternoon with Brian Copeland, star of the award winning show “Not a Genuine Black Man”, at the Alan Harvey Theater , 800 Magnolia Avenue in Piedmont . Brian grew up black in San Leandro in the 60’s and 70’s, when the city was 99% white. His show deals with his experiences growing up as a young black man in an all white community, and with the depression he has struggled with as an adult. 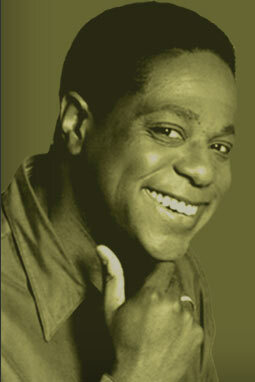 His show got rave reviews and was the longest running solo show in San Francisco history. The event is a joint fundraiser for the Piedmont Appreciating Diversity Committee (PADC) and the PHS/MHS Wellness Center. PADC promotes global awareness, inclusiveness and an appreciation of differences by providing grants to teachers and supporting diversity programming for all students in the Piedmont Unified School District . PADC also organizes community-wide events like the Appreciating Diversity FilmSeries, Speakers Forums and Martin Luther King Jr. Day Celebration. The Wellness Center — now just a year old — provides services to promote emotional, physical and social well-being for Piedmont and Millenium High Schools . It’s joining similar centers all over California to offer teens the range of support they need in high school. Please note, the show is recommended for persons 14 and up.